News and Stuff for Rochford District From Your Local Liberal Democrats - since 2003. The District Council has a new initiative. For three months, when people put their litter in a bin in Rayleigh? High Street? they will be helping raise money for local charities….? 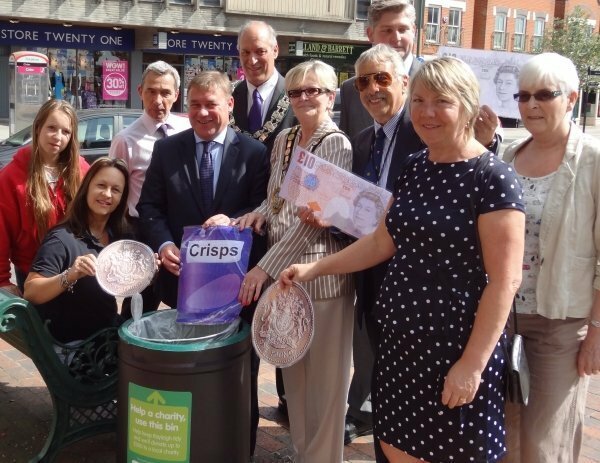 The new campaign is a partnership between Rochford District Council and Keep Britain Tidy and is being supported by The Wrigley Company. Each month, a different charity will be given up to ?500 and the amount they receive will depend on the amount of litter in the bins. The charities that will benefit from the project are Wyvern Community Transport, The Mushroom Theatre Company and Rayleigh, Rochford and District Association for Voluntary Service (RRAVS). We are Liberal Democrat councillors and campaigners who want to keep you informed on local issues in Rochford District and the surrounding area! Published & promoted by Steve Tellis 22 Beech Avenue Rayleigh, on behalf of Liberal Democrat candidates at 22 Beech Avenue Rayleigh . Linda on Micropub Anyone?It’s better than an empty shop. Dave Atheis on Micropub Anyone?I think this is a brilliant idea. I, and many friends, have long wanted to see something like this open. Barbara Kavanagh on Micropub Anyone?Better than being empty. Indiana Jones on Land North of London Road Application Moves Along…Spine Road? Who came up with that? Adele on Micropub Anyone?Why? Just why?